Don’t miss SouthWest Writers’ debut event at the South Broadway Cultural Center (SBCC) on November 15 at 10:00 a.m. If you’ve never been there, you’re in for a real treat. The SBCC is assembling a fabulous citywide home for all things literary, and the gorgeous facility is absolutely first class. 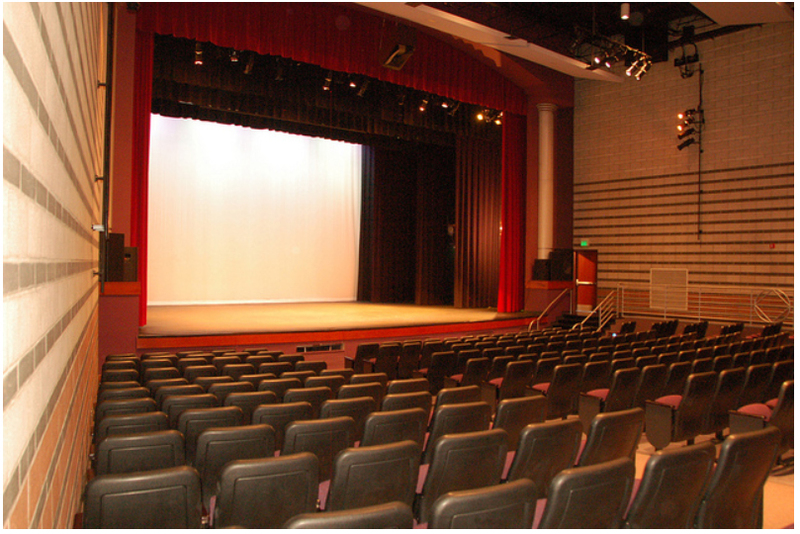 Readers will perform onstage in the beautiful SBCC theatre, near a room where books will be available for purchase. There’s plenty of parking, too. The gala event will be hosted by SWW Vice President, Peg Herrington, who will introduce each reader with a tale from his or her writing background. Copeland Neeley reads the first chapter of his unpublished novel The Haunt at Hauntington Elementary. This kid-friendly mystery unfolds through a string of vignettes as each student in Mr. Morton’s class takes a turn in the spotlight. Gayle Lauradunn reads from her freshly published debut poetry collection, Reaching for Air. She is working on a historical novel set in 18th Century Scotland. Don DeNoon’s humorous poem “Midnight on the Rio Grande” will be read by John Candelaria (as Don is recovering from Achilles tendon reattachment surgery). Bobbi Adams reads “Happy Easter,” a hilarious short story taken from her memoir in-progress. It was published in The Storyteller’s Anthology: Presented by SouthWest Writers. Joyce Hertzoff participated in the National Novel Writing program for the first time in 2008. She reads from her Kindle eBook The Crimson Orb, which was written for NaNoWriMo in 2010 and published in 2014. It’s a fantasy tinged with science. John Candelaria’s poetry has been published in the OASIS Journal 2012 and 2013; Poetry from the Other Side, New Mexico State Poetry Society, Albuquerque Chapter; and SouthWest Writers’ The Storyteller’s Anthology. He reads “Albuquerque Rises,” celebrating the history of our city. Jim Tritten reads “Two Old Soldiers,” from the Corrales Writing Group 2013 Anthology. It is particularly appropriate as it celebrates the end of World War I and Veterans Day. Plan to attend! This Reading is the first event SouthWest Writers will sponsor at the SBCC. It could be a landmark, bragging-rights event. The South Broadway Cultural Center is located at 1025 Broadway Blvd SE, Albuquerque, New Mexico 87102, 505-848-1320.